With the deadline just around the corner, the community are back with all your last minute Gameweek 31 tips. One man is set to steal all of the headlines, as he dominates the captain polls for the Gameweek 31 tips. The Editor sets out some other players to consider, with statistics from the Fix algorithm backing up the latest community dilemmas. Many FPL decisions are backed up by statistics, so FPL Connect have a brand new article, called Stats Corner. It’s a case of looking back and forward as each of this weeks fixtures is looked at in turn and key players ars selected. It’s well worth a look. With just four fixtures this week, it’s a challenging schedule for FPL managers to work with. James Egersdorff has plenty of Gameweek 31 tips, including discussion of strategy, in his latest YouTube video preview. 🎰 Are -4 hits worth the gamble? FPL Guidance lives up to his name, by providing a handy guide on Twitter for how to cope with the blank. Points hits and chip use are considered, plus the requirement of Liverpool cover. Managers should ensure that they look ahead! The Free Hit chips looks to be the go-to strategy for those who can’t field seven or more players without a hit. Earlier this week, we brought the community views over on Fantasy Football Pundits, with plenty of helpful advice. Is now the time to activate your Free Hit chip ahead of BLANK Gameweek 31? This week, the Fantasy Football Surgery podcast welcomes Ben Crellin, who’s been preparing the community for this week since the earlier stages of the season. There’s plenty of player picks worth your consideration for a transfer in. Talking of player picks, Chief returns with his weekly player picks for Yahoo Daily Fantasy. Mo Salah is the must-have once more, but looking down the list can uncover some differentials to get an edge on your rivals. Here are @FPLHints' fantasy ⚽️picks for GW31. With a depleted fixture list, there’s a number of differentials at both ends of the pitch who are under consideration for many fantasy managers. FPL Academia share their thoughts: a return from one of these could help boost your rank. Managers opting for three strikers this week, are wading through the sparse array of options available. FPL Malaysia have monitored their goal scoring prowess over the last 5 weeks and it’s slim pickings! The options don’t look much better at the back, since many of the teams involved this week have the worst defences in the Premier League. There’s a word of caution on maxing out your back line this week for the sake of fielding a full side, from top 100 ranked manager, David Isaac. Taking -4’s for rubbish defenders from rubbish teams just because they have a game is not a good strategy! Fantasy Football 247 took a break from their usual captain article this week, since nearly everyone will have their armband firmly locked on Mo Salah this week. There’s interesting thoughts from managers in varying positions, to help you prepare for the Gameweek 31 tips. FPL Fly provides a predictions tweet, as opposed to a predictions thread, as there’s only four games to look at. Clean sheets are predicted for Stoke and Everton, plus a goal fest on the South coast. One man predicted to perform well this week is Josh King, who scored a hat trick in the biggest blank last season. There was worrying news in the press conferences though, according to Ben Dinnery, that he is carrying a slight knock. There also unconfirmed reports that Shaqiri is out with a calf injury. FPL Updates & Tips provides plenty of Gameweek 31 tips in the latest preview video. There’s talk about how to detail with the injuries to Kane and Aguero, who are among the most transferred players this week. One of them is already back in training! 🤔 When is next BGW & DGW ? ⛔️ What to do with Aguero / Kane ? ⚽️ Best FWD options for #BGW31? 🎱 What is the Free Hit ? and when should We Use It ? Fantasy Gaffer returns to provide the Gameweek 31 preview for Fantasy YIRMA. Hilariously, Liverpool options were selected in every single section, but there are other options emerging from the other games. The General shares his five must-have players for Gameweek 31. 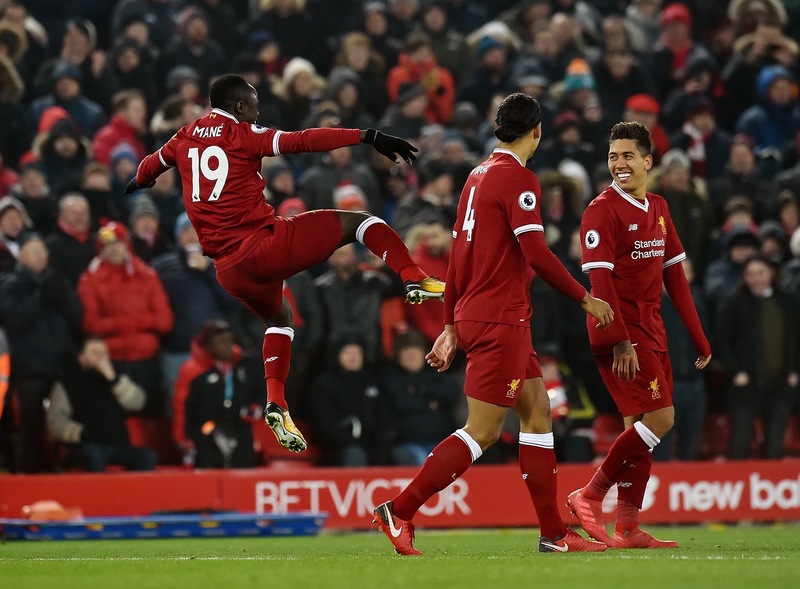 It’s all attacking players that make the Sportito shortlist, including a trio of Liverpool attackers who are very popular right now in the community. Ken Rooney returns to the line up with his column for Irish Examiner: Happy St. Patrick’s Day weekend to all of our Irish readers. There’s recommended options to consider if you don’t use the Free Hit chip this week. If you have your Free Hit chip active and enjoy the flexibility of choosing a team just for one week, then Daily Fantasy Football might be of interest to you. Drew shares some potential targets for this week, which could pay dividends for your Free Hit side too. Before you go, check out the armband Gameweek 31 tips, where we discuss the merits of going for or against Mohammed Salah. Who liked to put on a show.